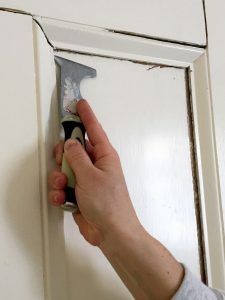 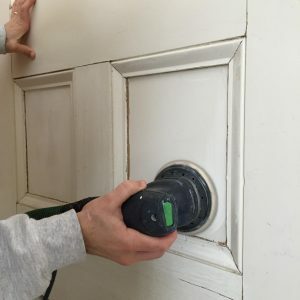 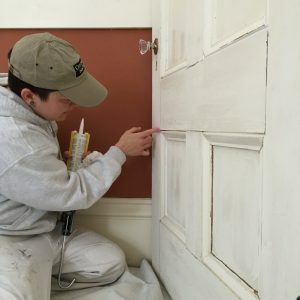 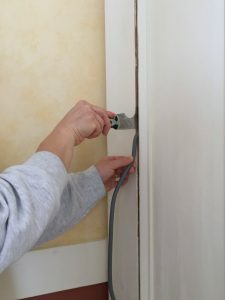 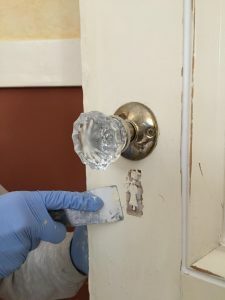 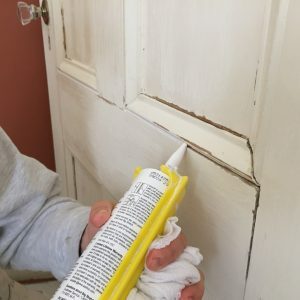 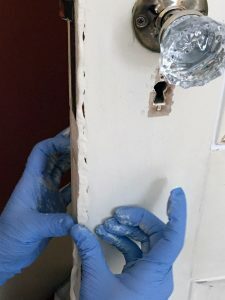 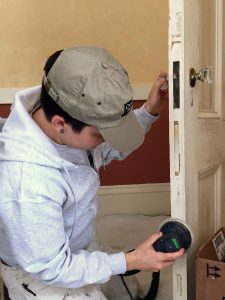 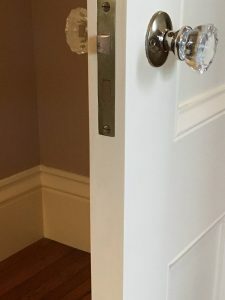 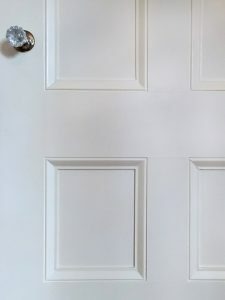 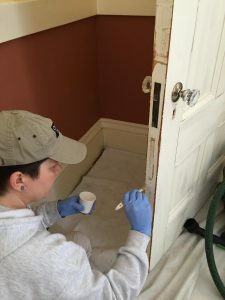 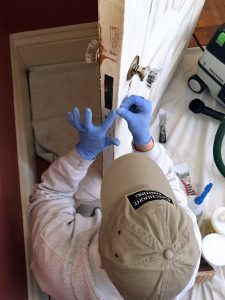 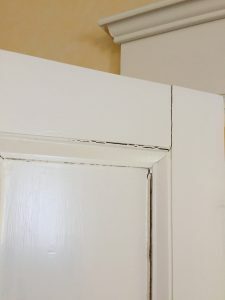 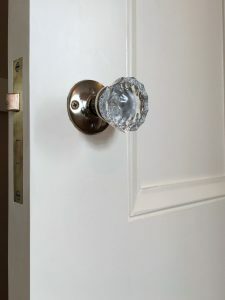 Before receiving a fresh coat of paint, older walls, ceilings, trim and doorways generally require a greater amount of prep than newer surfaces. 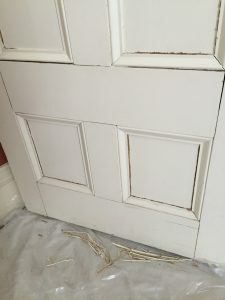 Often they are in need of repair or have aged coatings, now brittle, that must be removed. 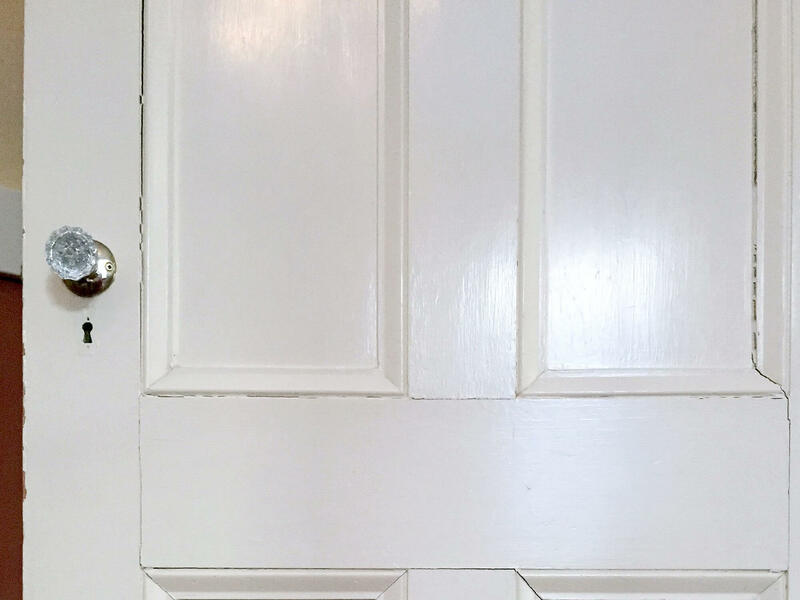 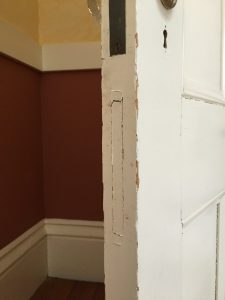 Here’s a peek at the “make over” Catchlight gave a door from the 1860s.